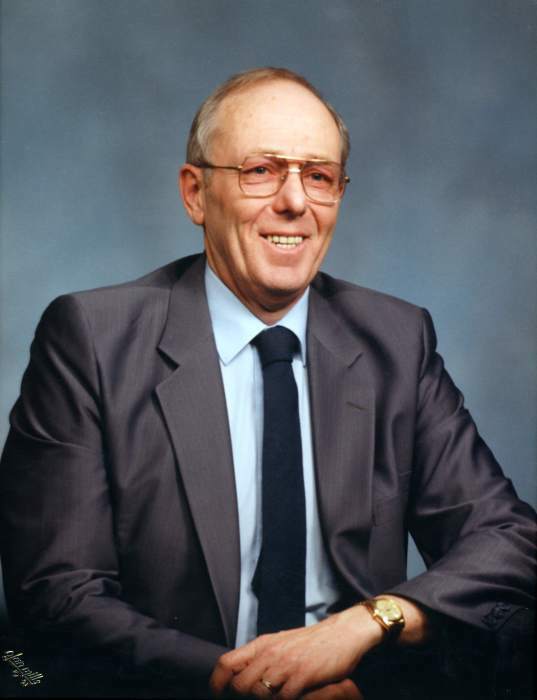 Obituary for James H. "Jim" McLaughlin | Knight-Confer Funeral Home, Inc.
James H. "Jim" McLaughlin, 78, of Williamsport, passed away Wednesday, April 3, 2019, surrounded by his family at home. Surviving is his loving wife of 30 years, Herta (Stark) McLaughlin. Born Dec. 30, 1940, in Williamsport, he was a son of the late Francis and Stella (Lomison) McLaughlin. James was a Williamsport High School graduate and served in the U.S. Army. He retired from Divine Providence Hospital in 2016 after 40 years in safety and security. James was a member of Trinity Gospel Church, American Legion Post No. 1, Forty & Eight Voiture 382, and a life member of the Keystone League. Surviving in addition to his wife are a son, James McLaughlin, of Muncy; two daughters, Tammy Motta (Dean), of Albany, N.Y.; and Tara Miller, of Montoursville; two step-sons, Larry Willets, Jr. (Roxanne) and Richard Willets (Theresa), both of Williamsport; three step-daughters, Judy Smith, of Bangor, Maine; Kathy Orso (Kerry), of Williamsport; and Tina Willets, of Muncy; three grandchildren, Joshua, Leigha and Noah; 14 step-grandchildren, Jeremy, T.J., Nicholas, Brandon, Joshua, Heather, Mathew, Terry, Amanda, Robert, Timothy, Moranda, Nicole and Megan; and ten great-grandchildren. A memorial service to honor the life of James will be held 2 p.m. Monday, April 8, at Trinity Gospel Church, 1010 Elmira St., Williamsport, with the Rev. Joel E. Henderson officiating. The family will receive friends from 1 to 1:45 p.m. at Trinity Gospel Church. Burial will be held privately at the convenience of the family in Montoursville Cemetery.